Keith Hann - Why Oh Why? : Who is really the nasty party? Laws have been passed to protect people from abuse on account of their race, religion or sexual orientation, but Tories are still fair game. Hence it should be no surprise that so many voters clearly lie through their teeth about their intentions when opinion pollsters come calling. To many on the always self-righteous left, anyone who does not share their views is inhumane to the point of being downright inhuman. I particularly remember the venom of the privately educated rich kids with whom I watched the results of the two 1974 elections on a flickering black and white TV in Cambridge, as each contest failed to deliver the Labour landslide they were confidently expecting. The howls when Cambridge stayed Conservative were partly offset by one particular Labour gain. “At least they have civilised people in Oxford,” huffed Georgina. I imagine Georgina’s trust-funded children in the front line of that mob baying obscenities and scrawling graffiti on war memorials in their attempted anti-Tory putsch at the weekend. Because the election was clearly rigged, right? And if it wasn’t, then the stupid electorate was misled by the Murdoch and Rothermere press with their lies and scare tactics. Because every decent, caring human being is a socialist at heart, aren’t they? Well, no they’re not. 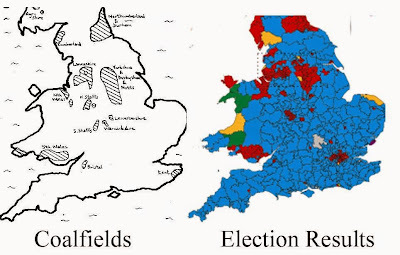 And no matter how many times the history lesson gets repeated, the left never seems to learn that England is fundamentally a conservative country. 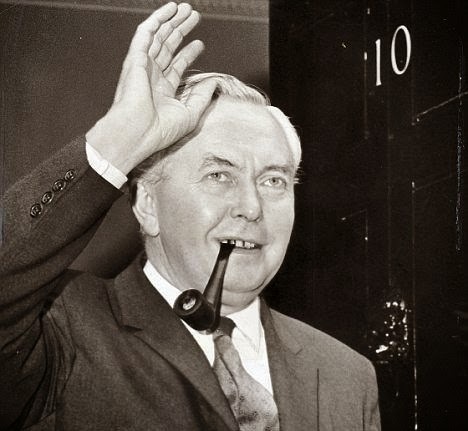 Heaven knows there are enough clues scattered around, like the enduring hereditary monarchy, our collective love for unspoilt countryside, and the fact that Labour’s only landslide successes in my lifetime have been under a leader who made the party’s pitch significantly more conservative. Yet still the cry will go up in some quarters that they lost because they weren’t left wing enough. Yes, that will be exactly why UKIP managed to hoover up so many of their traditional supporters on Thursday. Good luck with repositioning to offer even more red-blooded socialism. Oh, and next time maybe try choosing a leader who looks like a potential Prime Minister rather than the head teacher of failing comprehensive. I have never understood what possessed Theresa May to acknowledge that characterisation of the Conservatives as “the nasty party”. True nastiness is found on the extremes of both left and right, not in mainstream Conservatism. If the Tories really wanted to destroy the NHS don’t you think they might have done it by now, given that they have been in power for 40 out of the 67 years it has been in existence? 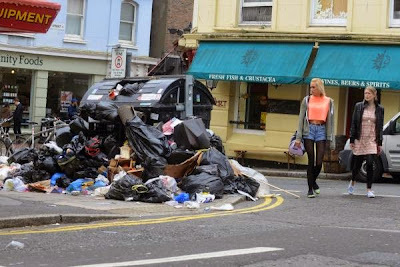 Left wing idealism rarely proves compatible with competent administration, as we have seen in a succession of Labour-run authorities over the years and most recently and strikingly in the now ejected Green council in Brighton. The most interesting post-election Tweets I saw contained two maps. One compared Labour constituencies in England and Wales with the former coalfields, and the overlap was almost perfect, with the sole exceptions of London and Kent. 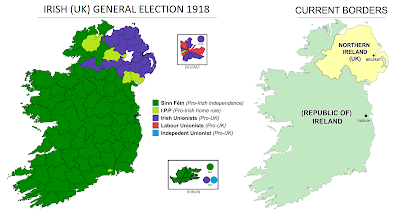 The other compared the political map of Scotland in 2015 with that of Ireland in 1918, when a Sinn Fein landslide swept the country outside Ulster. 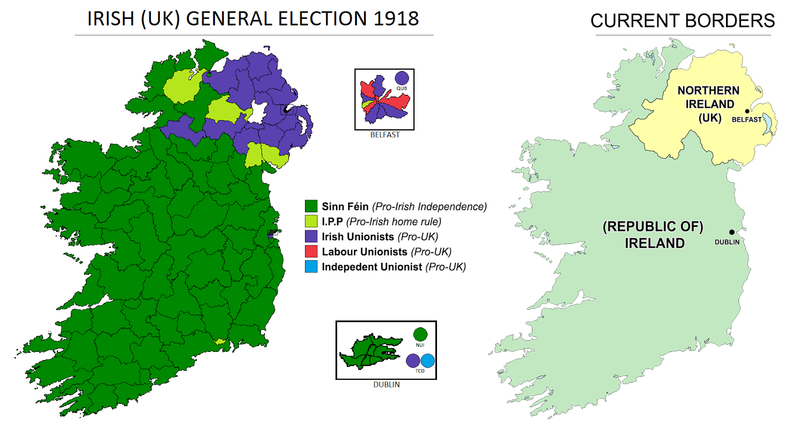 Was last year’s failed independence referendum Scotland’s equivalent of the Easter rising of 1916? I also think there is unlikely to be any popular demand to partition Dumfriesshire, Cydesdale and Tweeddale so that it can remain within the UK (though I am altogether less sure about Orkney and Shetland). Even so, statesmanship of a high order will be required to prevent Scotland following Ireland through the exit door from the United Kingdom. Do I see David Cameron as the great statesman who can pull this off? No, but I reckon he has far more chance than Ed Miliband ever would have done. 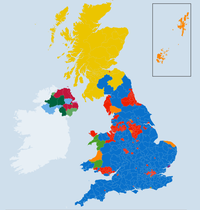 And who, a week ago, confidently saw Mr Cameron as an outright election winner? Except in the Blair years, my lifetime experience of election nights has been of Tories exceeding expectations. Yet even I did not have the confidence to bet on it. So have this one on me: “Typical stupid Tory”. As usual your remarks hit the spot.There is still hope.